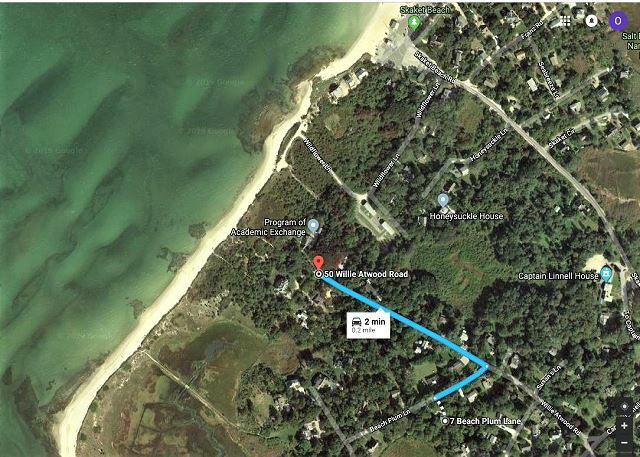 Skaket Beach is just 3/10th's of a mile away via path at Willie Atwood Road and Cape Cod Rail Bike trail access is very close to this splendid Orleans home! 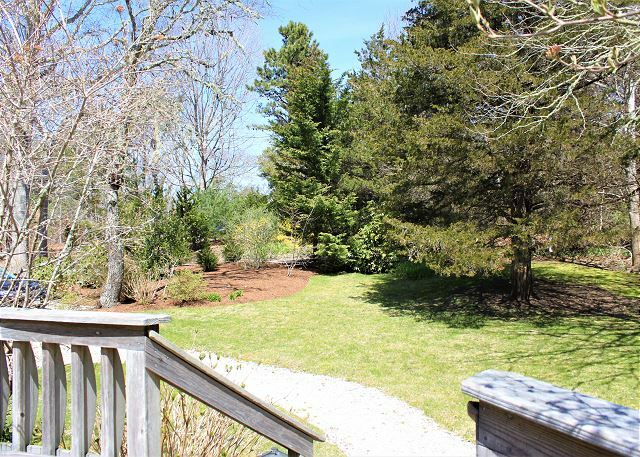 This 4 bedroom home with Central A/C is set on almost an acre of land down a sandy lane, steps from Cape Cod Bay and the Cape Cod Rail Trail for the making of memorable vacations. Enter via the front circular deck, where you will be greeted by an open kitchen and living area that leads to a spacious rear deck. 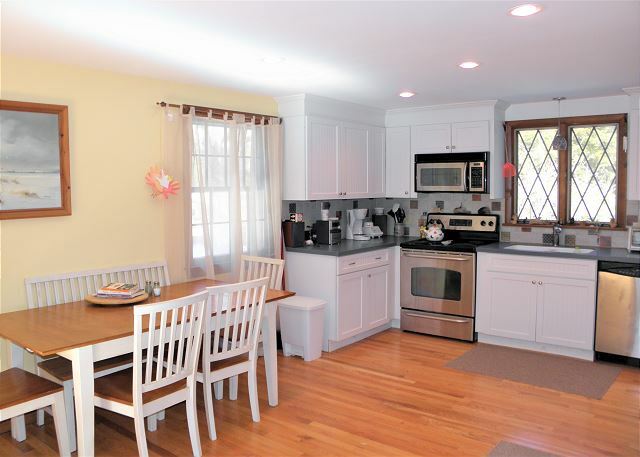 The kitchen is fully outfitted with 2 dining tables that seat up to 10 guests and includes dish washer, microwave, toaster oven, blender, coffee maker, lobster pot, spices and necessary cooking and dining utensils. The dining area opens into the living area and features 20" HD TV with Comcast expanded TV channels, sofa seating, and doors to the deck. 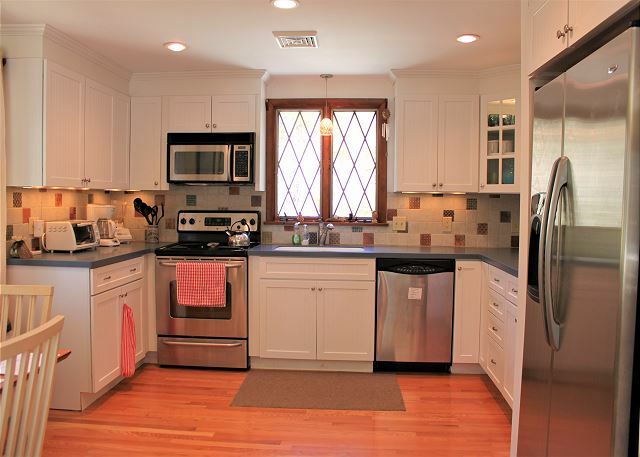 The rear deck has large dining table with umbrella, gas grill, cranberry bog views, and a pretty treed yard. There are two bedrooms on this main level, one with a Queen size bed and one with 2 sets of twin size bunk beds. A stacked laundry system is located in the hall and a spacious full bathroom with tub/shower combination. Head down the stairs to the lower level where there is a den with 42" HD TV with Blue Ray DVD player & VHS and sofa seating. 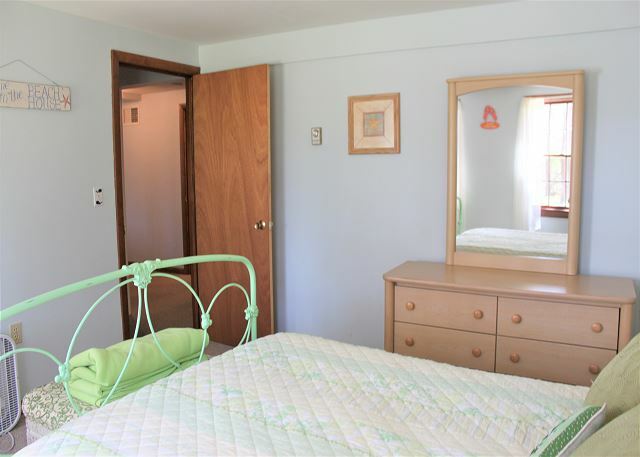 From den area are two additional bedrooms one with a full size bed and the other with a queen size bed. 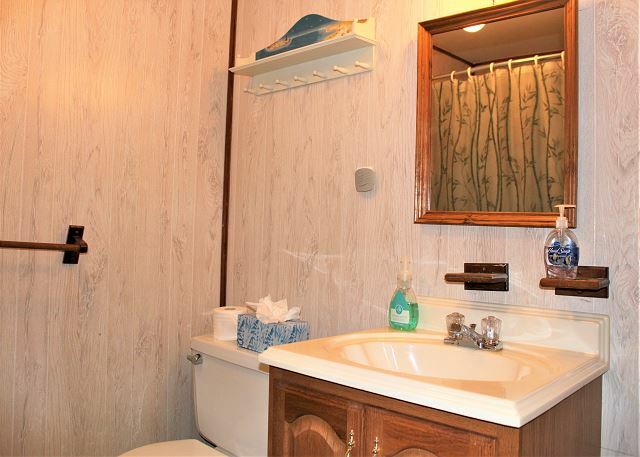 In addition to this there is another bathroom with shower on this lower level. Find the outdoor enclosed shower just outside the door of this level. There is Wi-Fi Internet access, AM/FM radio/stereo with CD player, iPod Dock, extra fridge on lower level, room fans and beach chairs for your convenience and comfort! This is the second year in a row that we have stayed at this property. Loved the location and proximity to the beach. Beach was great for the young grandchildren.The only downside was a problem with rodents of some kind living in the ceiling between the lower and upper floors. Very noisy at night so much so my daughter and son in law moved bed out of bedroom in lower part of house and placed in sitting room just to get some rest. 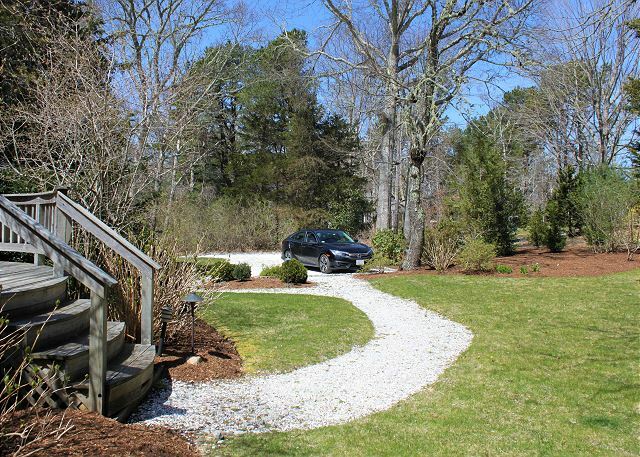 Vacationed on the Cape for over 30 years. 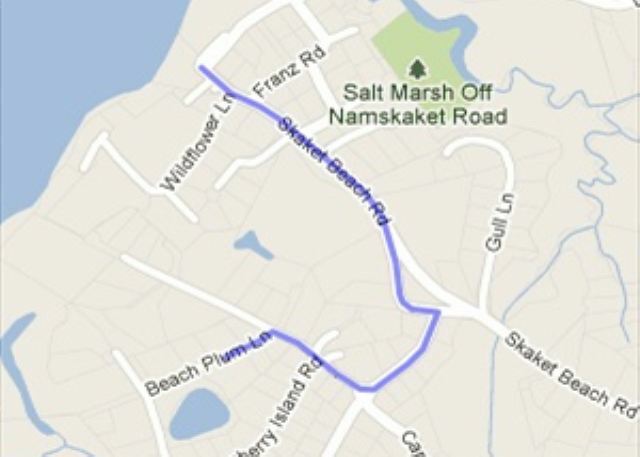 Family loves the bayside and specifically the Skaket Beach area. House was nice but needs work. Couches upstairs and down uncomfortable. Deck overgrown with trees. 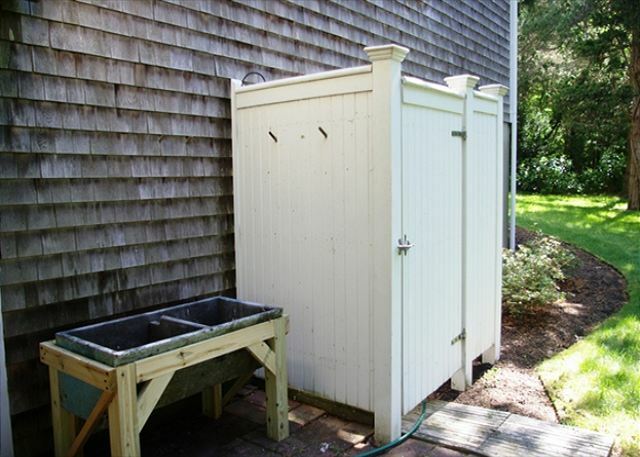 Outdoor shower needs to be upgraded. Downstairs on arrival musty smell. Not and easy trip to beach had to use public beach access which was crowed daily. 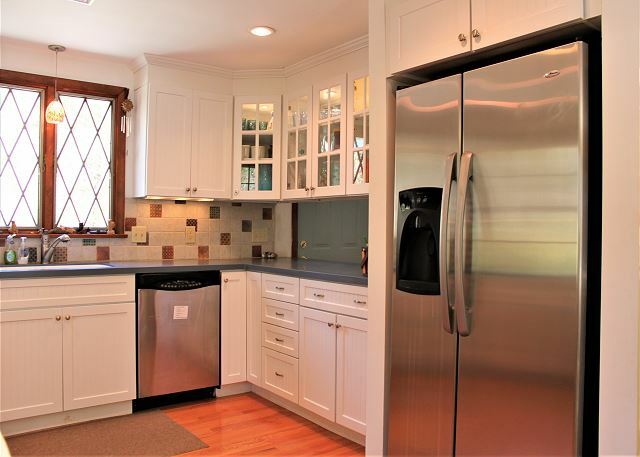 Great cape located within minutes (walking distance)from the beach. Private road and plenty of space for our kids to run around. 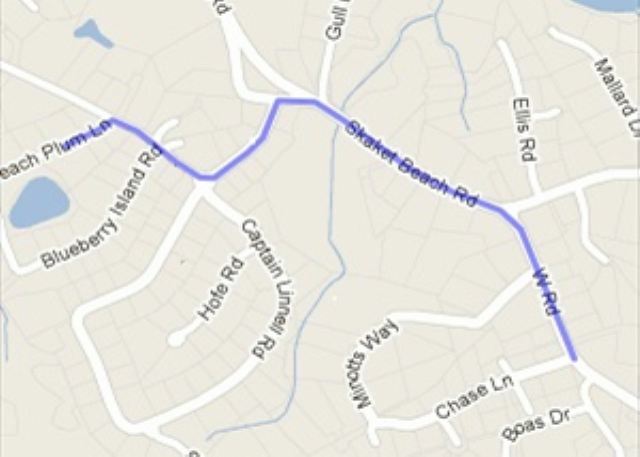 Conveniently located, easy access to bike trail that leads directly into the center of town. We would highly recommend this location and would stay here again. 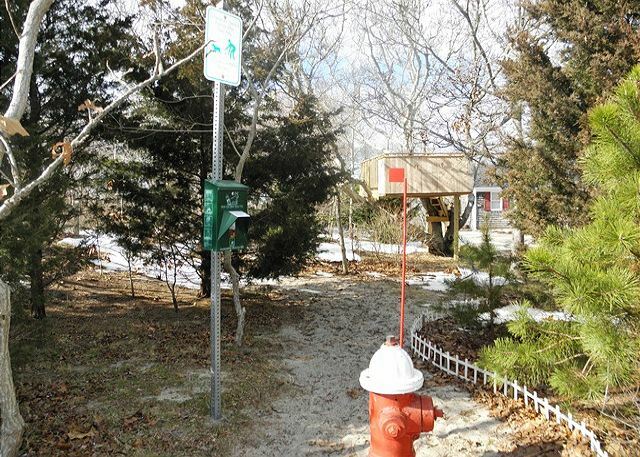 The town, proximity to the rail trail and the private beach access were all great. But, the bottom floor of the home was musty smelling and not pleasant. The upstairs was dated but fine. The tree swing looked like it would have been fun but it was attached to a dead branch so we didn't try it out. The rusty flag pole next to the deck actually snapped while we were there. Review by Deepa & Shubha C.
This was our third year staying here, we love it! We had a wonderful time. The kids had a blast! We are looking forward to staying again next year. The house was beautiful with a lovely yard. Plenty of room for the adults and children to spread out and relax. We enjoyed our stay, loved the location and the house, deck, yard and bedrooms. Would have preferred more living room furniture (chairs and/or a 2nd sofa) instead of the 2nd dining table in the main room. Also we were disappointed not to find lobster utensils - a must on the Cape!